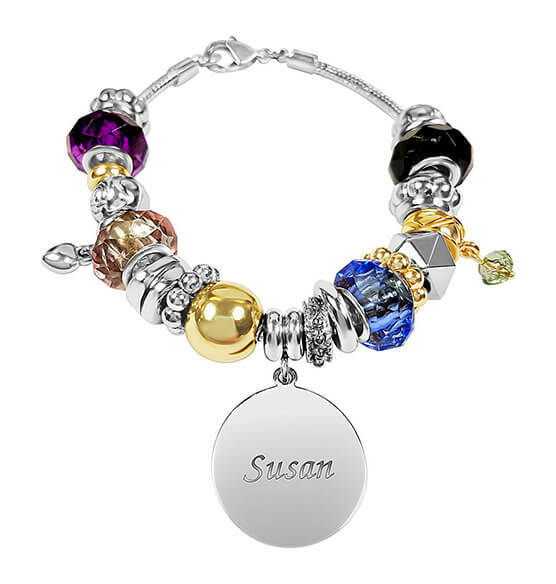 Charming Personalized Two-Tone Multi Color Charm Bracelet adds color and style to any outfit! Two-tone design with beads and charms, along with bold, colorful gems, is the perfect accompaniment to the personalized charm. Makes a great gift! Specify name.